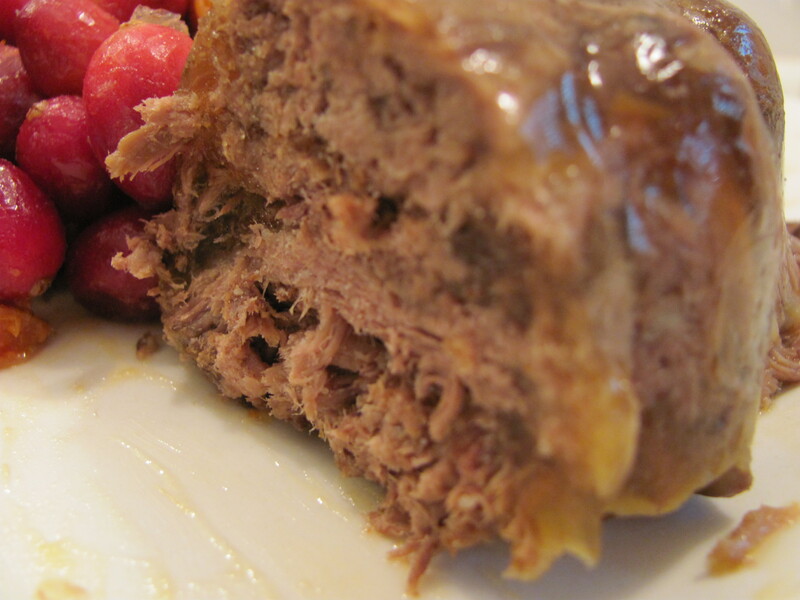 As I found myself making my list of different dishes to serve, for my little 3 days of celebrating Christmas with our families, I came across something that I had not made in “eons”…Daube Glace! 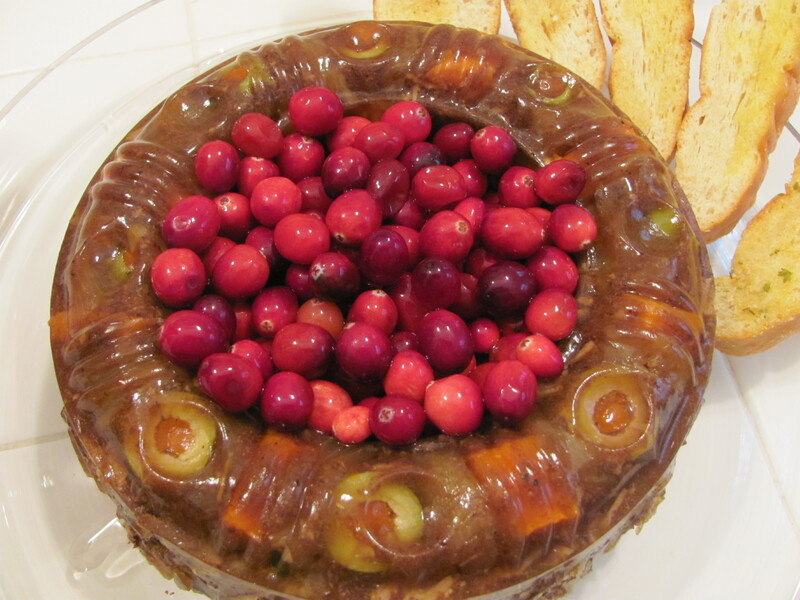 A wonderful combination of tender Roast Beef, vegetables and seasonings molded together with gelatin creating a beautiful delicious hor d’oeuvre for the holidays or any special occasion. 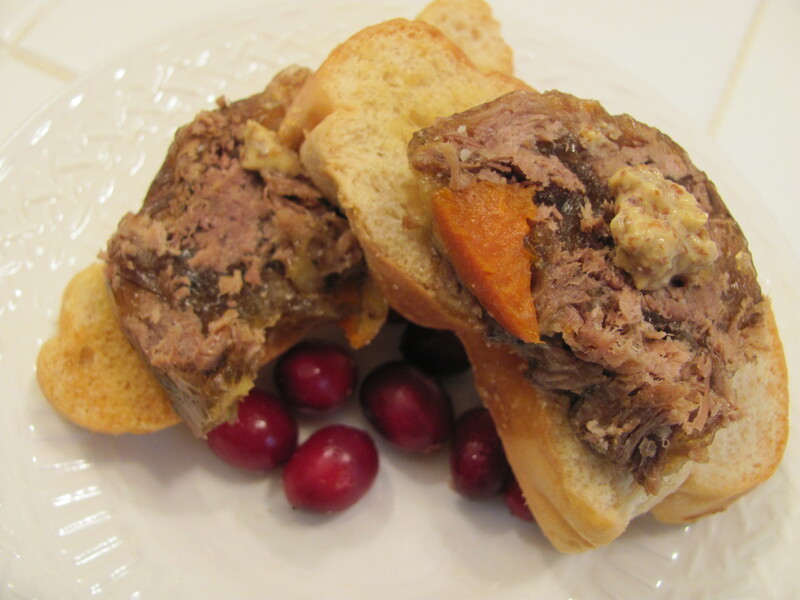 In South Louisiana, the first thing that everyone thinks is…Hogs Head Cheese (which a lot of people love, but not everyone!) – so it takes a little explaining to get a few squeamish people to try it. But once they do – they are sold!! 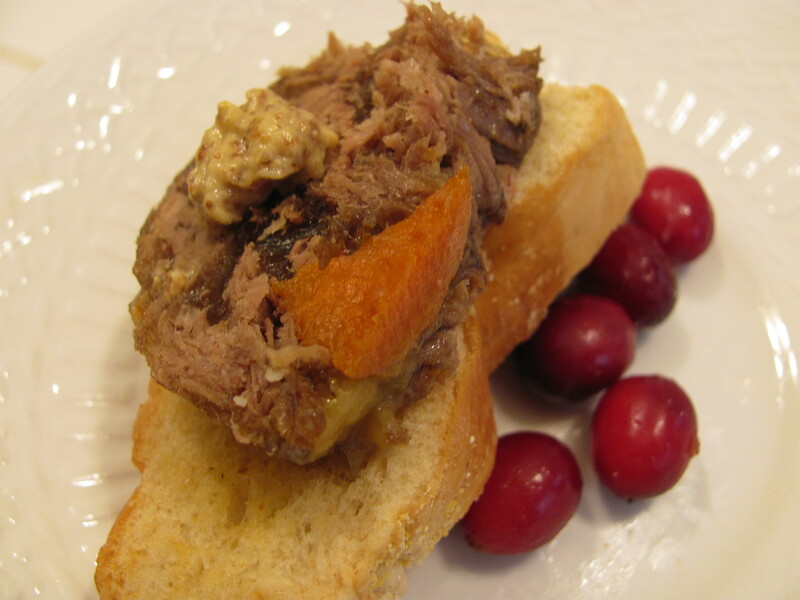 Serve it on toasted baguettes or crackers with Dijon Mustard…wonderful…. 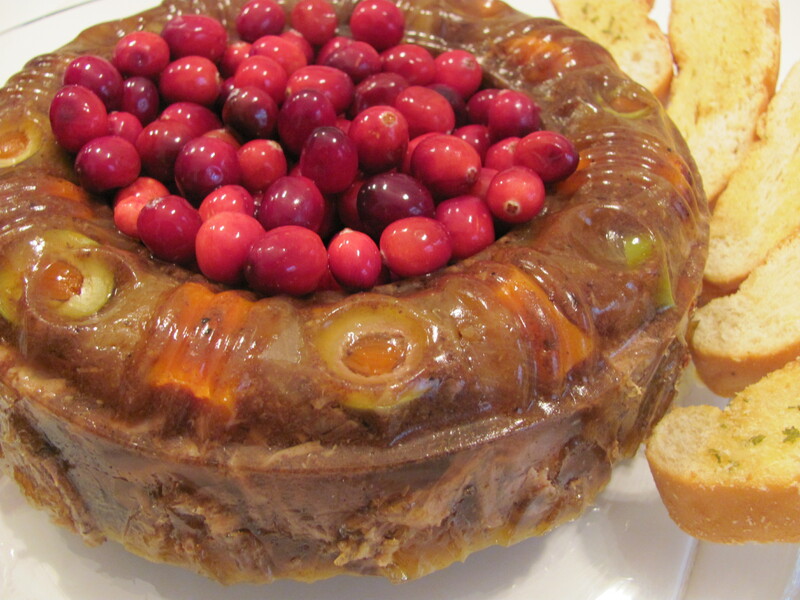 Medium size mold – any shape will do…depends of the holiday, of course! 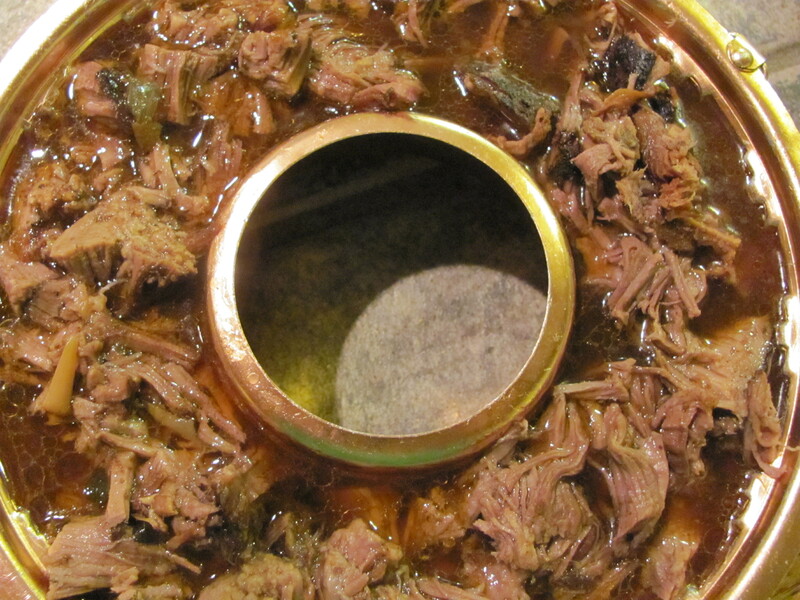 Cover and set slow cooker on low for 10 hours – never remove lid!! 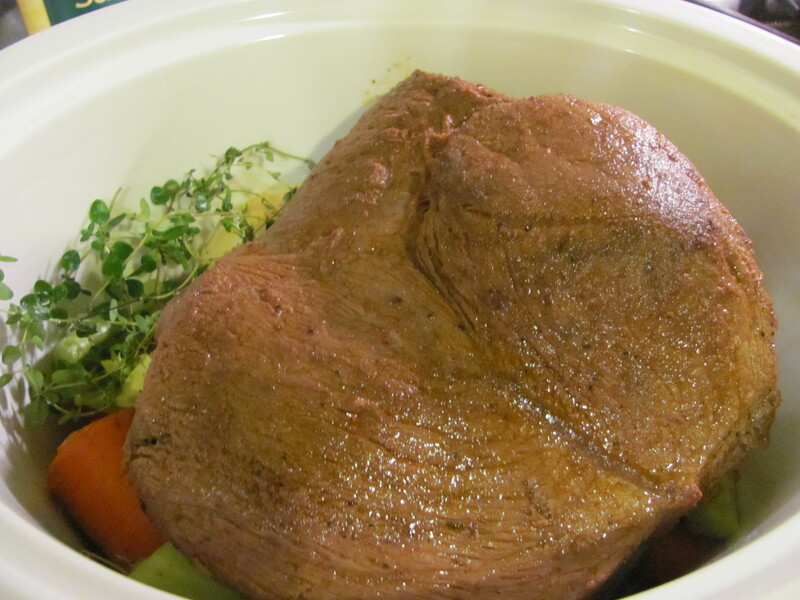 Just to let you know, I am a recent convert for putting a beautiful roast in a slow -cooker…my sister-in-law convinced me to try it and I am glad that she did! If your family is having an envie for a roast, rice and gravy and you know that you don’t time after work (or in my case…the oven and stove is “full”) then try cooking it this way – cooks while you are at work or doing other things and is fabulous! Works…really works…I promise! For anyone who is interested in knowing more about a little more about Daube Glace’ – I have added what “Wikipedia” has to say about it. Interesting – at least, I think so! 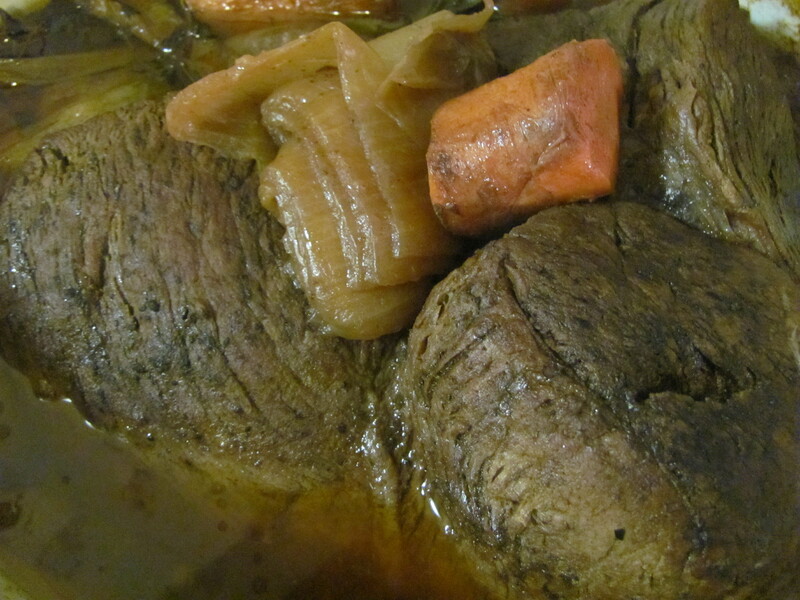 Daube is a classic Provencal (or more broadly, French) stew made with inexpensive beef braised in wine, vegetables, garlic, and herbes de Provence, and traditionally cooked in a daubière, a braising pan. 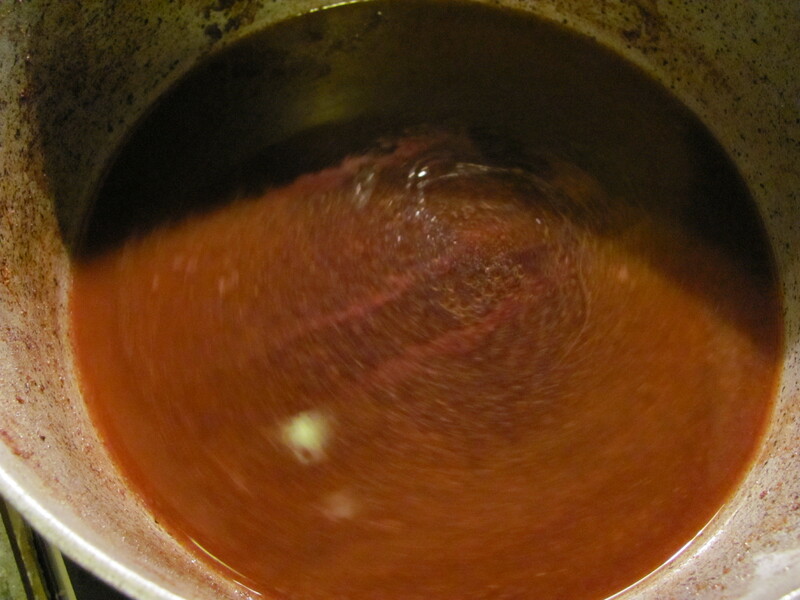 The meat used in daube is cut from the shoulder and back of the bull, though some suggest they should be made from three cuts of meat: the “gelatinous shin for body, short ribs for flavor, and chuck for firmness.” Although most modern recipes call for red wine, a minority call for white, as do the earliest recorded daube recipes. 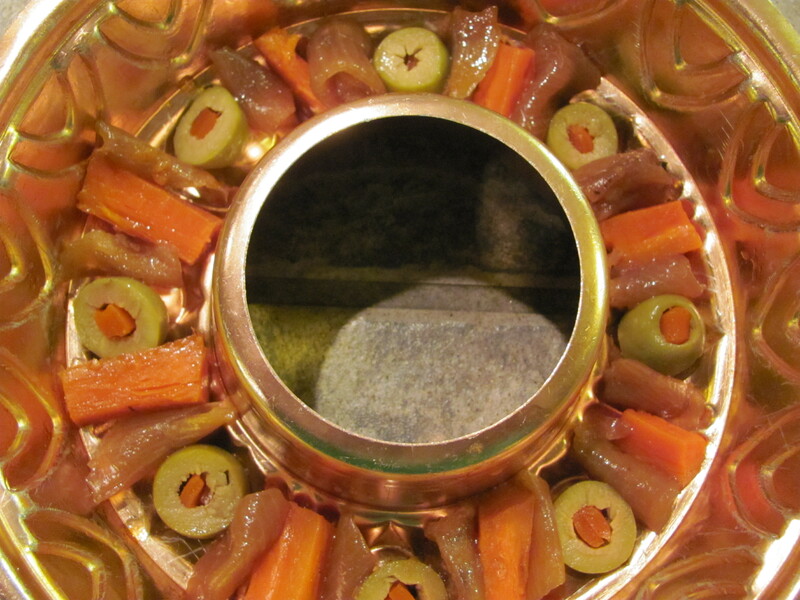 Variations also call for olives, prunes, and flavoring with duck fat, vinegar, brandy, lavender, nutmeg, cinnamon, cloves, juniper berries, or orange peel. For best flavor, it is cooked in several stages, and cooled for a day after each stage to allow the flavors to meld together. In the Camargue and Béarn area of France, bulls killed in bullfighting festivals are often used for daube. 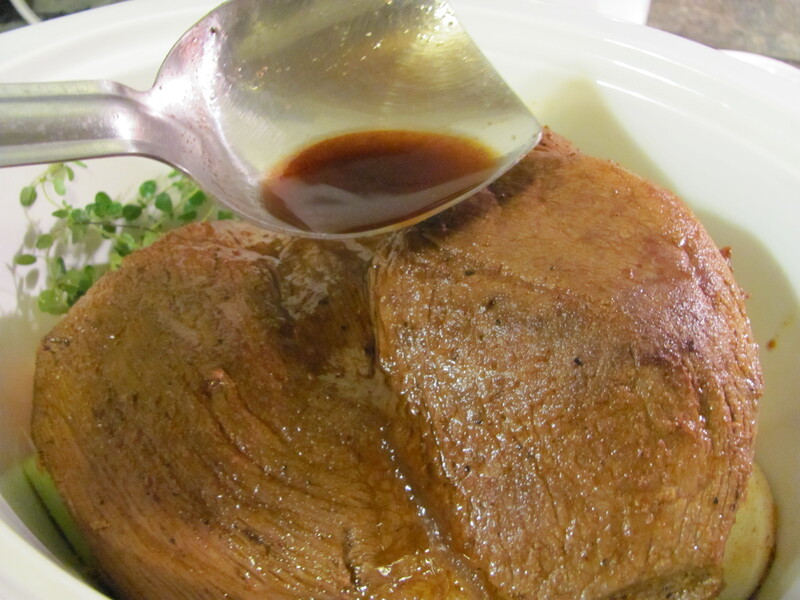 Traditionally, it should be cooked for a long-time and prepared the night before it is served. 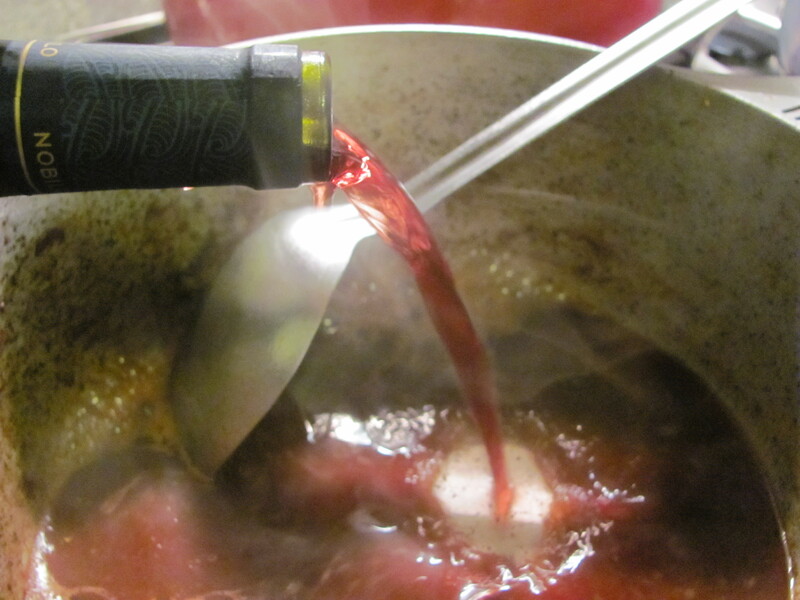 Daube with lamb is traditionally made with white wine. 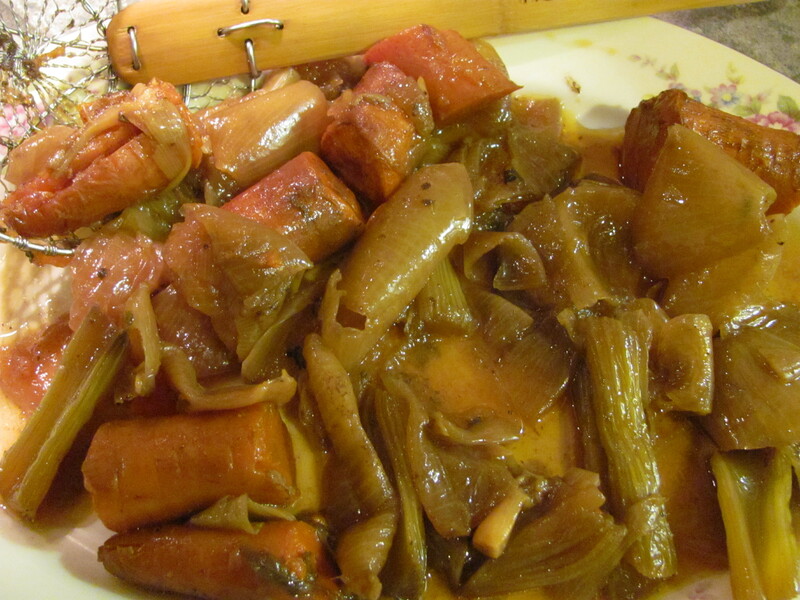 My mom used to make daube when I was young, brings back great memories. How big was the roast you used? 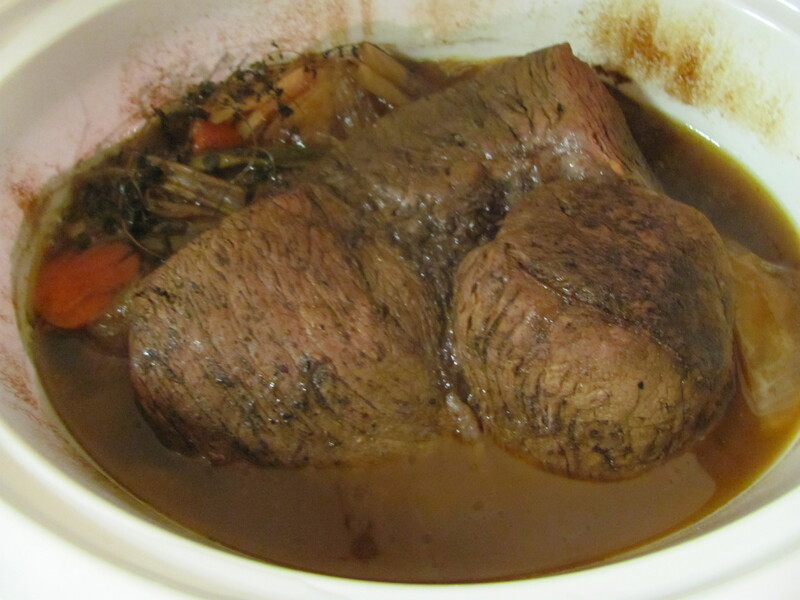 Hi, Susan, Glad to see that the Daube brought back memories for you. It is one of those old traditional dishes that seems to have been “forgotten”! 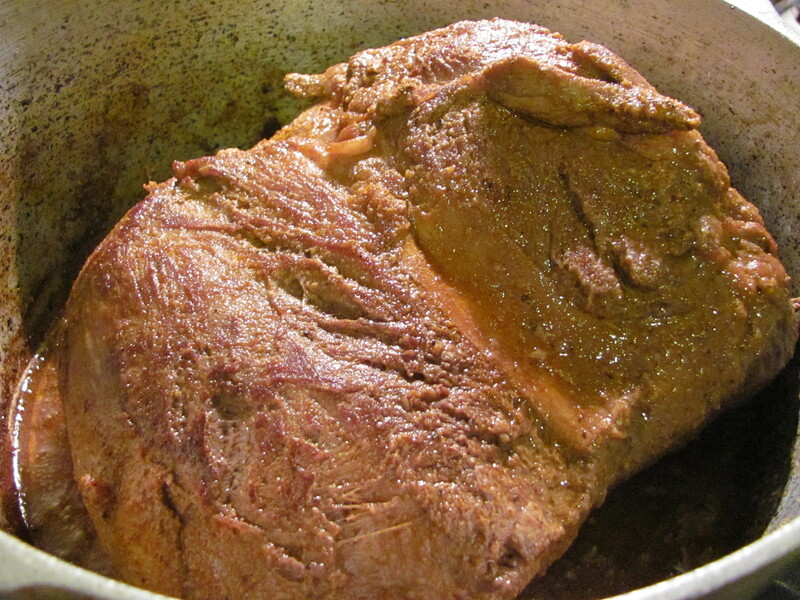 I used a 5 pound roast and it made 2 Daubes with a little left over. But, my molds were not very large. 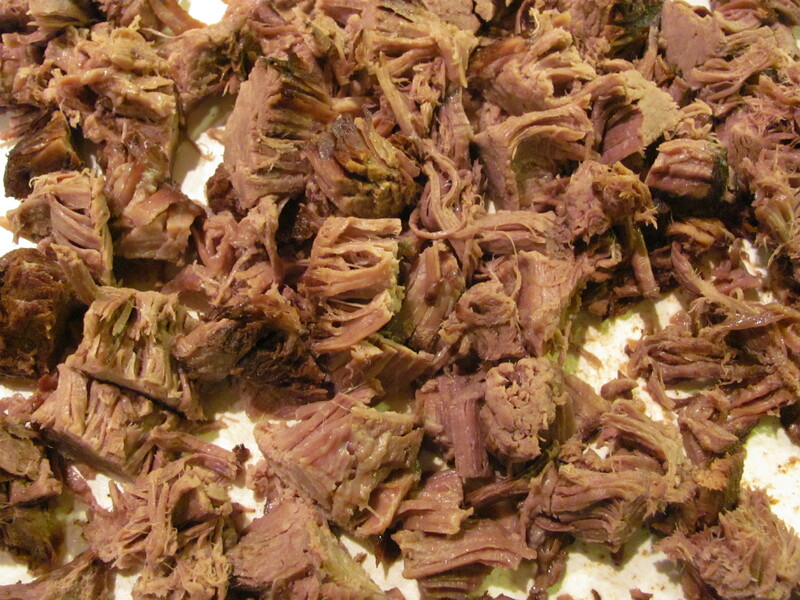 I like to have a little left over, because it makes a great roast beef sandwich!